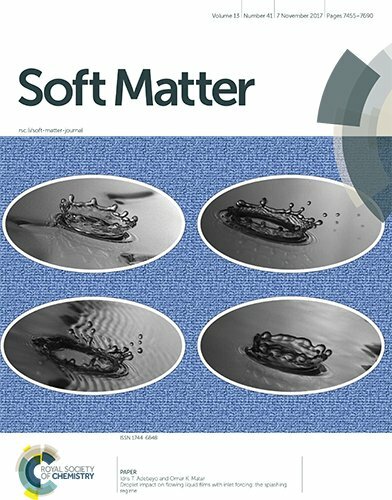 The work by Idris T. Adebayo and prof. O. K. Matar is in front cover of Soft Matter Journal. Abstract: The impact process of droplets falling obliquely on thin flowing films is studied using a high-speed imaging system with a focus on splashing. Frequency-forcing of the flow rate at the inlet is applied in order to form solitary waves prior to droplet impact. The outcomes associated with impact on targeted regions of the waves are examined; these include the capillary wave region preceding the large wave peak, the flat film region, and the wave hump region. The effect of varying the film flow rate, droplet size, and speed on the splashing regime for each of these regions is elucidated. 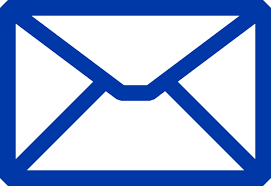 The results are further compared with those associated with uncontrolled flowing films, and with quiescent films. The present work has demonstrated, for the first time, the contribution made by the spatial structure of waves to the outcome of droplet impact on flowing films.